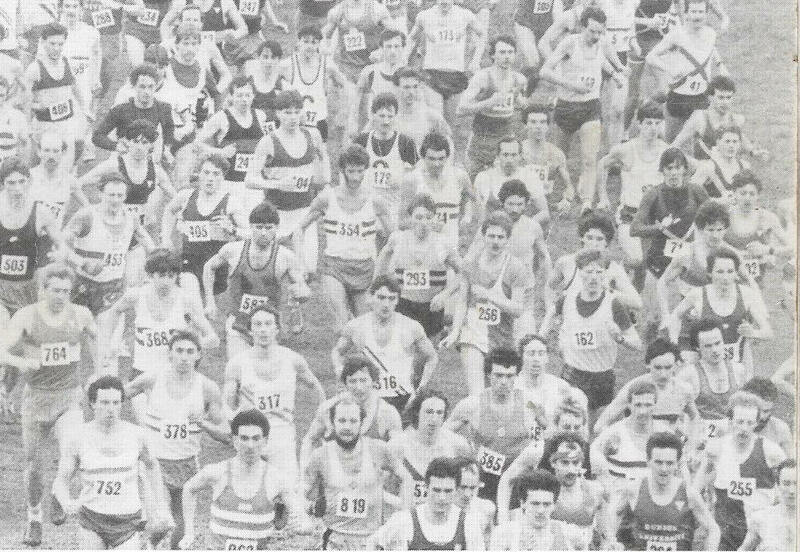 These pages cover the runners who made a significant contribution to Scottish endurance running in the period between 1945 and 1990. Why these dates? The first is obvious – the end of the War is a clear starting point after a break in the sport of six years or slightly more. The second is because that to me is when the ‘new era’ started to change the face of endurance running in the country. The country had been dropped from the world cross-country championships, there was a move afoot to the sport (the SAAA would give way to the SAF), professional athletes were growing in numbers at a tremendous rate, the tyranny of the 10K was showing its head, the first moves to kill off the Edinburgh to Glasgow were being made and the marathon was about to be dropped from the SAAA Championships. It is a continuing process with additions being made all the time and new info being added. The who’s who is set out alphabetically and the links are here. The letter A The letter B The letter C The letter D The letter E The letter F The letter G The letter H The letters I and J The letters K and L Macanna to Maycock McAlinden to McNish McPherson to Myatt The letters N and O The letters P and Q The letter R The letter S The letters T and U The letters W and Y .